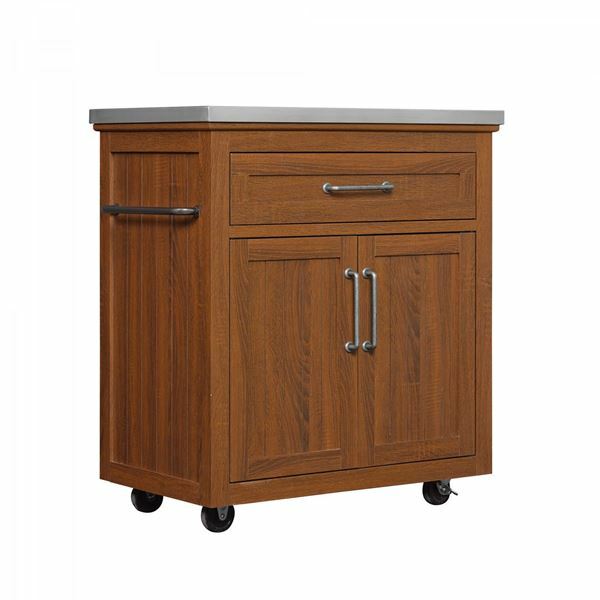 Madeleine Kitchen Cart with Stainless Steel Top by Classic Flame. 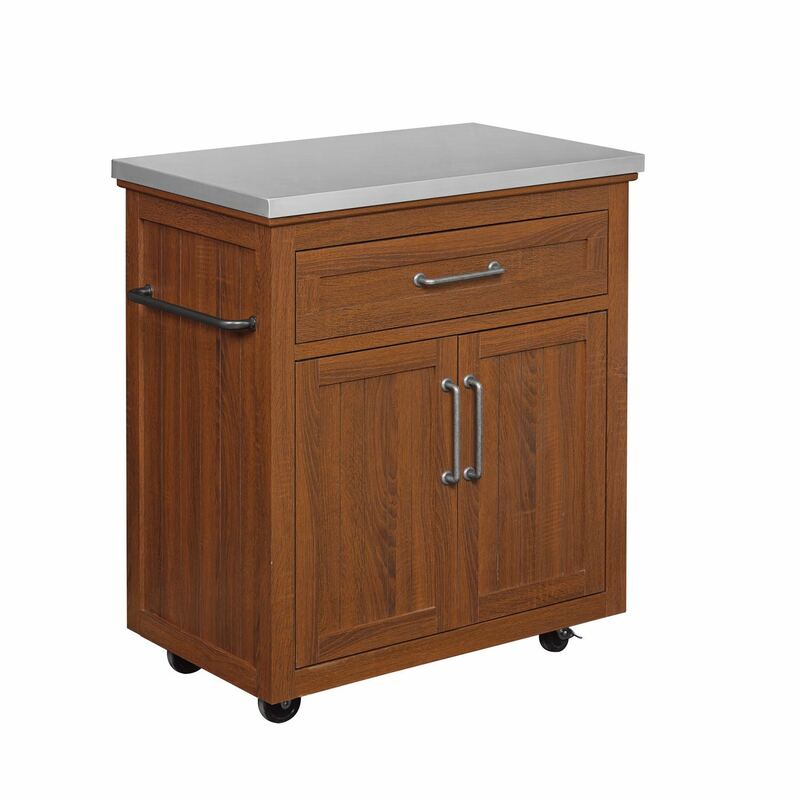 Stainless steel top provides the space you need to prepare your favorite snacks and drinks. Single top drawer for storing smaller items. One large cabinet includes one adjustable shelf. 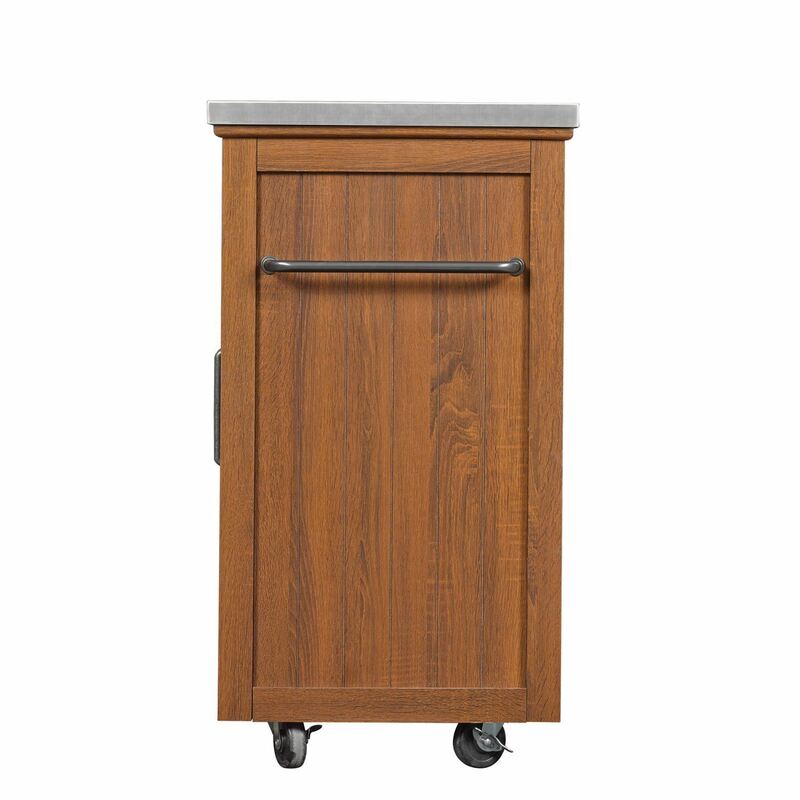 Two built-in towel racks on either side of the cart with included S hooks. Easy-to-assemble with just a Phillips head screwdriver and includes an owner's manual and easy-to-follow instructions for installation. 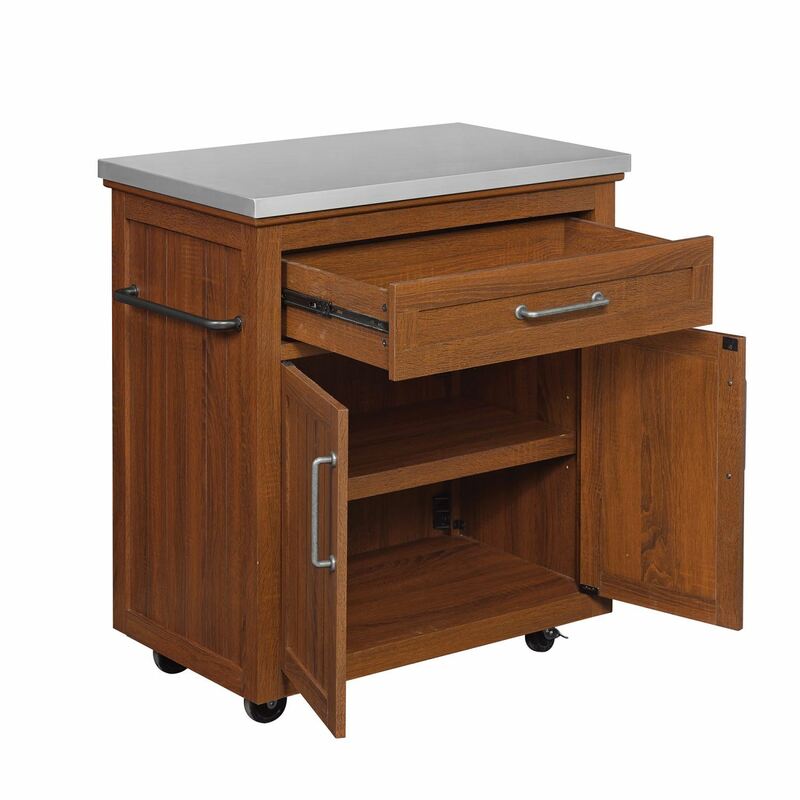 Swivel casters with locking capability facilitate easy movement. Wood plank design on both sides and door panels. 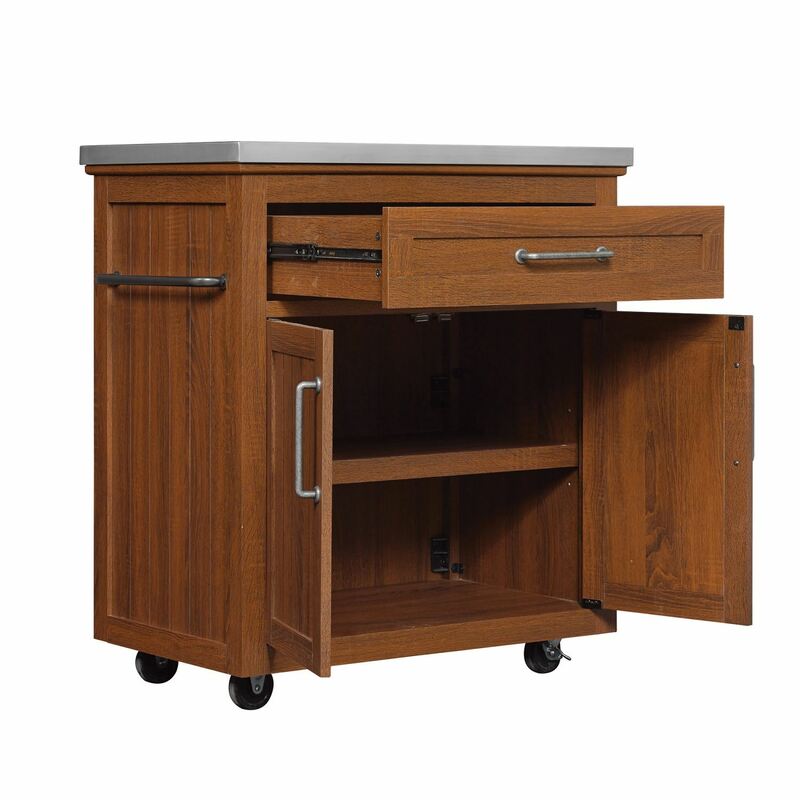 Touch-up pen included to keep your kitchen cart looking fresh and new.